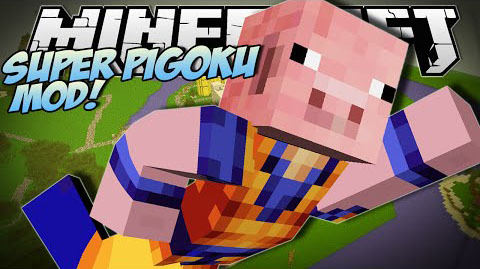 The Great Pigoku Mod allows players to install The Great Pigoku items to Minecraft, which is a tool set a armor set and a sword, plus some bacon. Armor is 2x better then diamond and has 8000 durability. Weapon does 10 HP and has 2000 durability. Tools are 2x better then diamond and has 2000 durability. Pigoku Bacon heals 5 hunger and has a little bit more saturation then steak. Raw Pigoku Bacon heals 2 1/2 hunger and has half the saturation. The pigoku ore is between gold and diamond in rarity. And you need an iron pick or above to mine it!